We know that life can be hard and trying. At times it’s to the point that you can lose sight of your value and worth in the world around you. It is easy to get lost in a sea of emptiness, during those times you feel that you have hit rock bottom or are just frustrated with life in general! You have got to find a way to get out of the sea of emptiness and reconnect with your values. Let me show you how! Sometimes you forget the good things you have done and how well you did them. 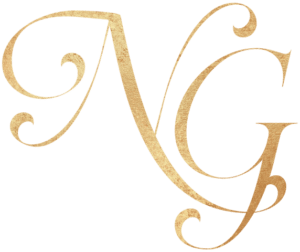 Going back to review client testimonials could be the exact boost that you need. Ponder their compliments. Absorb the process of the experience all over again, remembering how much effort and creativity you put into your work. Remember that the power of your abilities is what has awarded you all the lovely testimonials that you have received. Ok, so you might say that you don’t have very many testimonials to glean from. That’s alright. What do you have in your home that is a trophy to some of the things that you have done? What things have you done in the past (in other arenas or industries) that you are proud of? Think on those things. Remember Your Dreams. Respect the Promise You Have Made to Your Dreams. Sometimes when you feel a disconnect in your value, it is because you have had a disconnect with your dreams. You see, when you lose your vision at times you lose faith in yourself. Remembering your dreams is like remembering the most vital parts of yourself. When dreams get lost, hampered or crushed, a part of you gets lost. The value that the dream holds is no longer something that you are reminded of if you lose sight of it! If you have a dream of taking your business to the next level or starting a new business, create a dream board. Record your dreams in depth and then play back to yourself. It’s like YOU have YOU to remind yourself of that vital part of your life! Tell a trusted friend about your dreams. Regard the promise you made to yourself in regards to those dreams. Revitalize those promises. Bring them front and center. All you have to do is plan out how you are going to bring those promises to pass. Start with a basic goal sheet. Get an accountability partner that can help you stay on track. 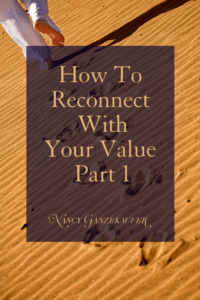 When you disconnect from your value, it’s important to remember some of the deeper things about who you are inside. It gives you purpose in life. When you lose purpose it is a slippery slope to disconnecting from your value and how it relates to the world around you. When your plates are full, a lot of you are giving to your family, to your friends, businesses and all the other day to day stuff. The very last thing that you do is take time to nurture yourself. For you, nurturing yourself might look different from person to person. For some it might be taking a bath at night and drinking a glass of wine. For another it might be going to get a massage every other week. For hands on people it might be gardening. For another one it might be doing crafts. Assess the things that make you feel nurtured. That which makes you feel good thing in taking care of you. When you nurture yourself you feel a great value about yourself. And when you sense the value in yourself, people will sense the value in you as well. You teach people how to treat you by the way you treat yourself. There’s no way around criticism. Some people will love you and some won’t. Some who may not care for you too much might even verbalize words that could get you down. Or, they may nitpick at you in a certain kind of way. Instead of internalizing it remember that you are not obligated to internalize it. Guarding yourself in that way is a way that you reconnect with your value. If you see yourself as truly valuable you won’t allow difficult people to get you down. Make a promise to yourself that you will practice these exercises. Keep them in the forefront of your mind. The more you exercise these tips the more that they will become second nature to you. When you feel yourself disconnecting from your value come back to this information and get back on course. Keep moving forward in life. 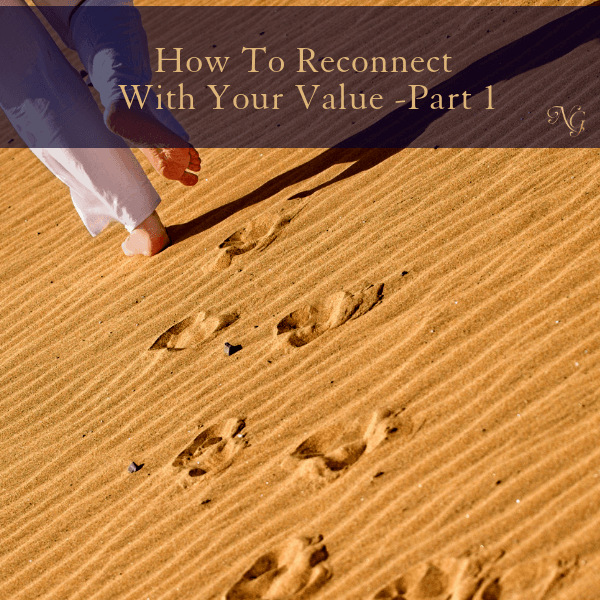 Continue here to read part 2 and learn more ways to reconnect with your value.